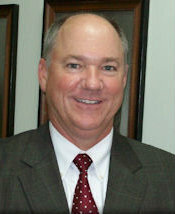 Walker is a 30 year veteran of the insurance industry. Walker currently serves as the president of the agency and is involved in all aspects of the operations and has obtained the Certified Insurance Counselor (CIC) designation and brings knowledge to both personal and commercial lines. Walker has been involved in numerous community and civic activities as well as a member of St. Peters Episcopal Church. Walker resides in Washington with his wife Stacey and children, Keais, Katherine, & Sarah. Steven joined our team in 2010. He brought with him over 10 years experience serving the financial needs of individuals and small businesses in Eastern North Carolina. 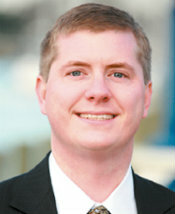 He is licensed in Property and Casualty as well as Life and Health. He holds the CLCS (Commercial Lines Coverage Specialist) designation and is currently working towards his CIC (Certified Insurance Counselor) designation. Steven directs new business production in both personal and commercial lines. Steven is active in the local community where he has served as President of the Washington Noon Rotary and is a current board member. He resides in Washington with his wife and two children. They are members of First Church of Christ. Dill continues to provide forward direction with over 50 years experience with the agency. She is seen at the office as well as in the community promoting the agency in her many activities. She has been a champion tennis player and is a member of the Washington High School “walk of fame”. Dill enjoys traveling and keeping up with her 9 grandchildren. Although technically “retired”, Kay continues to help the agency with special projects and has been with Bragaw & Co. for 22 years. She has enjoyed serving the needs of individuals in Beaufort County and the surrounding area. 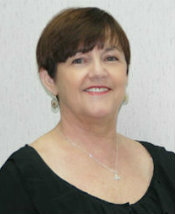 Kay is a licensed Property & Casualty agent and specializes in personal lines insurance. 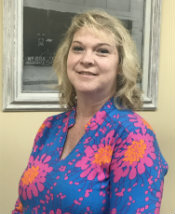 Her caring personality and expertise assure our customers that they are getting the best care possible.Kay was born and raised in Beaufort County and resides in the Washington area with her husband Gary. They have two children, Crystal and Sam. 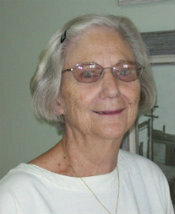 Kay enjoys reading, knitting, and spending time with her family and friends. Nicole brings 12 years plus experience serving the insurance needs of individuals and businesses in our area. Nicole graduated from Beaufort County Community College in 1999 with an Associate Degree in Information Systems and studied Business Administration. She is a licensed Property and Casualty agent, a designated CISR (Certified Insurance Service Representative), and is currently working toward her CIC (Certificate Insurance Counselor). Nicole resides in Martin County, where she was raised, with her husband Mike and their two boys. 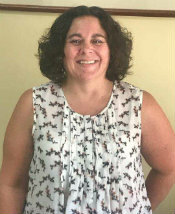 She enjoys reading, fishing, and spending time with her family and friends. 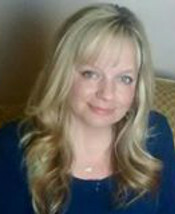 Julie joined Bragaw & Company in 2018. Born and raised in Washington, Julie has over 20 years experience in customer service and is a licensed Property and Casualty agent. Julie and her family are active members of BSA Troop 99. She is the mother of one Eagle Scout and has one on the trail to Eagle. She resides in Washington with her husband and her youngest son. Her oldest son is a Corporal in the USMC and is stationed at Camp Lejeune Jacksonville NC. Her family enjoys camping, hiking and high adventure activities. Kellie joins us from a background in customer relations and office administration. Originally from Greenville, graduate of Rose High School and graduate of Beaufort County Community College, Kellie brings a wealth of customer service skills to the agency. She is a notary. Kellie resides in Washington with her husband and two girls. In her spare time she enjoys time with family, singing in the church choir and boating on the river.